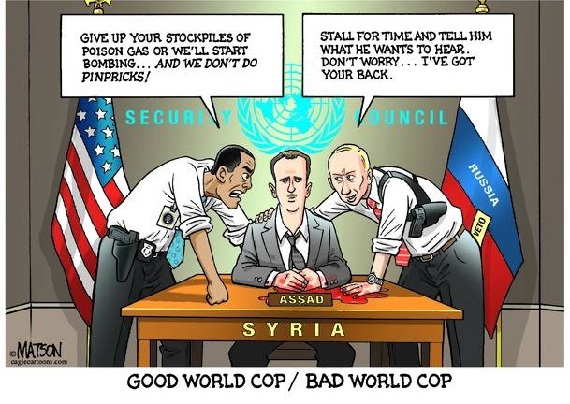 US policy towards Syria, caught between Russia and the European dilemma: a No Fly Zone is possible. What precisely is the USA doing regarding Syria? Has it changed its policy over the course of the years since the start of the protests in Syria in 2011? Are the events at the confines of Europe enough to bring a return of multilateralism in response to global crises or even a change in command? To answer the first two questions, it’s a good idea to understand what the USA has had as its goal regarding Syria. It would be too elementary to state simply that they are “looking after their own interests” and defining those interests only in two traditional compartments: control of energy and resources and management of Israel. The first compartment demands no explanation, the second is heavily tied in with maintaining the regional “instability” (not stability, as one might think) because as long as there is an illegal occupation that the USA traditionally supports economically and diplomatically, creating tensions internationally and allowing the USA and its allies to determine a military presence and accept that there is nuclear proliferation in the area, despite having themselves signed the NPT, they can continue to influence events and policies, thus making the control of energy and resources more successful. everyone in power gets what they want. 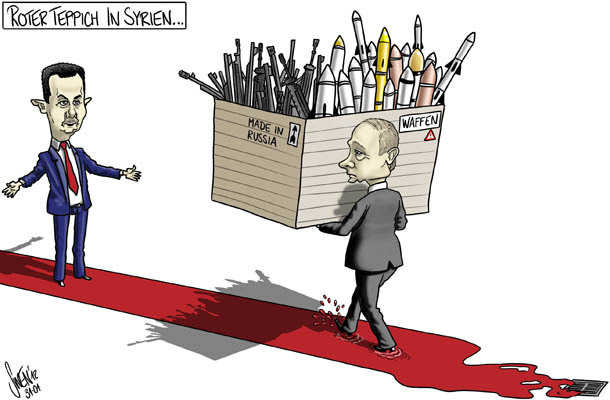 However, it is not really either of those two issues that may be the driving interest of the USA regarding Syria. The USA, like any other country, naturally has to have an interest in order for them to do any kind of action, and refraining from an action while stating that actions could be taken is also an action. The USA has been very vocal regarding Syria and they have done specific actions since the start of the uprising, most of them, however, detrimental to Syrian people. The interest they have is to re-establish authority and influence with smaller countries within the new global situation where the relationship between the West and the East has changed. Oddly enough, this is the same problem that Russia has, left as it is without the clearly established balance of power and satellite states, and it seems that the arena for this to play out is Syria. 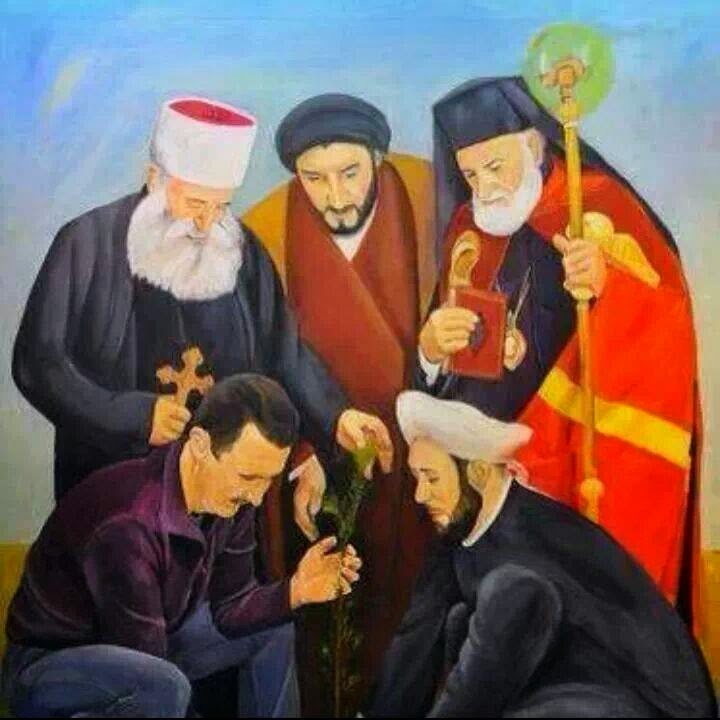 For a very long time some have attempted to deny that the Syrian people had ever risen up themselves. “Conspiracy buffs” as well as reactionary thinkers of every colour of the political spectrum, believed that it was not possible that civilians could continue to protest against their government even after the government reacted brutally to repress the protests, promising only more blood and destruction. Nor could these “thought leaders” or “vanguards of anti-imperialism” believe that there could be defections from the Syrian Army, where they formed a defensive army that later had the stated goal of overthrowing the government if the government would not step down. The government, naturally, had no intentions whatsoever to step down, and used the smokescreen of “sovereignty” in order to pursue its policy of using brutality to repress the protests and stay in power. Right on the heels of the moral and practical questions regarding the appropriateness and feasibility of “humanitarian intervention”, scorned by some humanitarians and endorsed by others, comes the other pressing issue concerning intervention, no less bitterly disputed by humanitarians, that of “regime change”. The Syrian people, when they took to the streets to protest, as is now understood by even the staunchest defender of Assad, were not demanding a regime change. They were making explicit demands for reforms and against corruption and what was widely regarded as a governmental policy where privileges, opportunities and development were handed out or withheld along sectarian lines. Those closest to the regime had less trouble advancing and the average citizen was excluded from progress or actually discriminated against on a daily basis according to his or her religious or ethnic belonging. 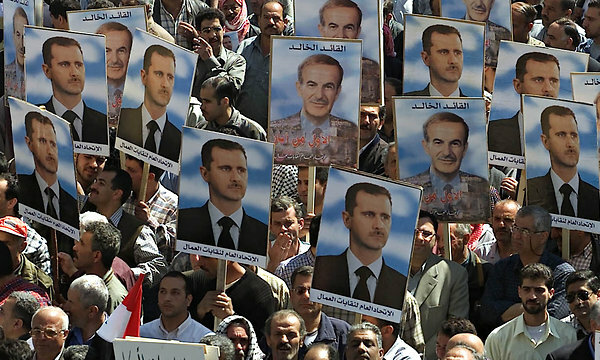 It didn’t take long for the demand for reforms to turn into a demand for Assad to give up his power, because no longer was it considered as legitimate. Not only for the not-insignificant matter that he basically inherited the power, for the leadership of Syria, following the coup of Bashar al-Assad’s father, was simply autocratic rule of a family dynasty with the Ba’ath party providing a way for non-family members to obtain some power. The uprising had all the aspects of a revolution, including mass defections of the regular army into a people’s army with the goal of overthrowing the government in power. The problem, however, is: once the government goes, something else is going to have to come after it, and neither the US administration nor the apologists in the west who go under the code name of “anti-imperialists” were willing to see some kind of self-determination of the people, since they had not been either groomed for democracy nor were the ideologically prepared to set up a state that would cater to the agendas of the anti-imperialists. Secretary of State Hillary Clinton still thought there was a diplomatic solution to get Assad to step down, or simply “goes”, as she had said at the heels of the Hama Massacre in June 2012. To not seem like they were just good at words but short on deeds, the US also supplied some forms of military aid and training. To a very select few, almost never providing them with what they asked for according to their needs, and absolutely not anything that might involve direct intervention or even the request for a No Fly Zone, a demilitarised zone in the sky that perhaps could not be properly enforced, but at least points in the right direction at the ending of aerial attacks. This aid had the characteristic of being just enough assistance to keep some pressure on Assad, but not enough assistance to remove him. Apparently, the US strategy is to wait for Assad to “step aside”, “go” or even be one of the parties to “reach a solution”. The way things are going the only Assad solution looks a lot like the final solution. Is there still any doubt that the longer this regime stays in place, the worse things will be? Could that truly abhorrent policy of “the worse things are, the better they are” be the endgame in the plans of the US? Is their current intervention – one that leaves Assad unharmed, allows his army to concentrate on fighting the “rebels” while others fight it out in the areas where the risks of loss of crucial air power are greater, allowing Assad to be constantly armed by Russia – a deliberate policy? The morphing into a War on Terrorism has become the excuse to intervene selectively while allowing the regime to remain in power. Despite the focus of the US solely on ISIS, it is clear that the only way to save whatever remains of Syria and stop the suffering of the Syrian people is to remove the regime by any means possible in the shortest time possible. To leave the regime in place is to allow a murderous dictator to continue his policy of mass destruction of the assets of the nation and genocide of the population. Therefore, the US solution is not a solution and it can’t be accepted. Stopping a dictator of this sort is one of the reasons that international law is granted legitimacy to intervene, taking precedence over any reasons of sovereignty, which have been violated at any rate by the Russian and Iranian contributions since the very beginning of the war. There is and has been more than enough evidence, directly presented to the USA administration as well as available to the international community and even to private citizens to verify for themselves and that prove without the slightest doubt that the regime has engaged in actions within its own territory that are in violation of human rights. There is clear evidence that the regime is the perpetrator of massacres, including those deemed even more serious than massacres with conventional weapons because they involved use of weapons of mass destruction (chemical weapons). The western apologists repeated the regime line at first, denying that the regime even had any such things and that the massacres of civilians in opposition areas was work of the opposition itself so that they could frame Assad with crimes he did not commit, but Bashar al-Assad himself threw them all for a loop, finally making an “executive decision” to save his skin. He debunked many of these feckless supporters by agreeing to “surrender the chemical stockpiles” to an international body so that they could be destroyed as part of the reassuring deal that the US would refrain from military intervention as a result of the regime turning over its enormous stock of WMDs, including of course, the very Sarin gas that the Assad supporters claimed did not exist. The question comes naturally, has the USA unequivocally condemned the Assad regime in such clear terms, even attributing to his regime “allowing ISIL/Da’esh to flourish”? The answer is, “No”. The US is aware that the EU collectively does not possess its own army to enforce the military policies that might derive from Foreign Affairs directives. It does not have the unified military might to actually “contribute” to defeating terrorist groups, though, differently from the “Coalition intervention”, the EU has officially rejected having Assad as a partner in defeating them. In fact, it implicates that the transition to follow the war will be Syrian in Syria and Iraqi in Iraq. It envisions victory in the “war on terror”, but it also rejects what is so far the Russian paradigm of support of the regime and the US one of tolerance of it. The US however, isn’t that concerned about what the EU will or will not do or want, because while they prefer multilateralism, if their allies don’t have the same plans, the US will carry on without any problems in unilateralism. Tensions are increasing in the Eastern European countries that see the return of Russian expansionism. Now that Russia has also returned to its tendencies of expansionism, States under its influence and economically tied to it are undergoing dramatic events so as to get closer to Europe. This increased tension in the area, the blurred line between West and East, is going to contribute to just how far Russia is willing to go for broke with its own interests. Is Russia powerful enough and interested enough to face down both the US and the EU in a power battle that is playing out in Syria and the Ukraine? The veto power in the Security Council only goes so far, at the end of the day, wars are fought on the battlefield. The US is willing to flex its muscles, but not upset the balance too much. The EU would be in a unique position of bringing the war to a quicker end if they are serious and not just using the “condemning” in the traditional way, but they would need to enlist individual armies in the effort, something that is highly unlikely. The vast military spending each nation has, while paling in comparison to other countries, still has provided most of Europe with the most advanced systems on the market. Many of the air forces in Europe are equipped not only with a substantial amount of extremely costly F35s of dubious quality, but also with scores of Dassault Rafale, Eurofighter Typhoons and other advanced fighter planes. These aircraft must have been placed into the budgets of these nations not only to decorate the hangars and give pilots something to practice on. It would be feasible for several air forces alone to enforce a No Fly Zone if there is political will to do so. There already is more than enough legal justification for such action. So not acting militarily, even taking into account the difficulty of such a thing, seems to be a matter of choice. 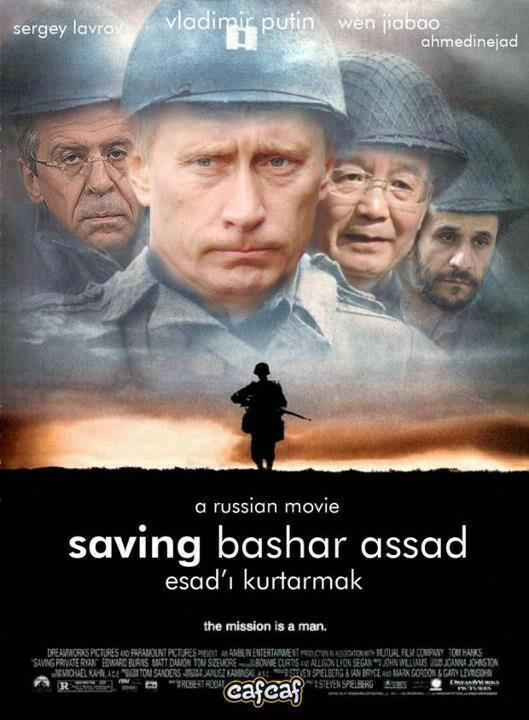 All of that will turn what was a revolution indeed into a proxy war, at the expense of the Syrian people. There are better choices to be made, and they have to be made before it is too late. If the US is unwilling to do what is necessary to stop a genocide, Europe should take the lead in international affairs. Not only will it help save Syria and its people, but it will establish multilateralism, which itself is a requirement for self-determination in post war transitional periods.